Our workshop facilities include 5 centre lathes of up to 600mm diameter x 2000mm long. Milling capacities of up to 1000mm x 400mm. Drilling and surface grinding are also all in house. 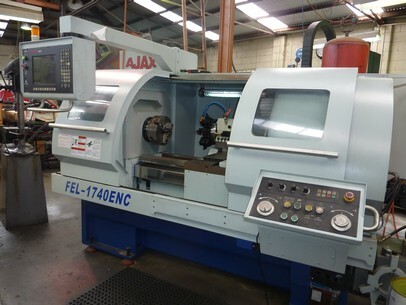 A Bridgeport machining centre and modern CNC lathe compliment our capabilities. Fabrication is also a specialty with oxy, tig, mig and stick welding available.